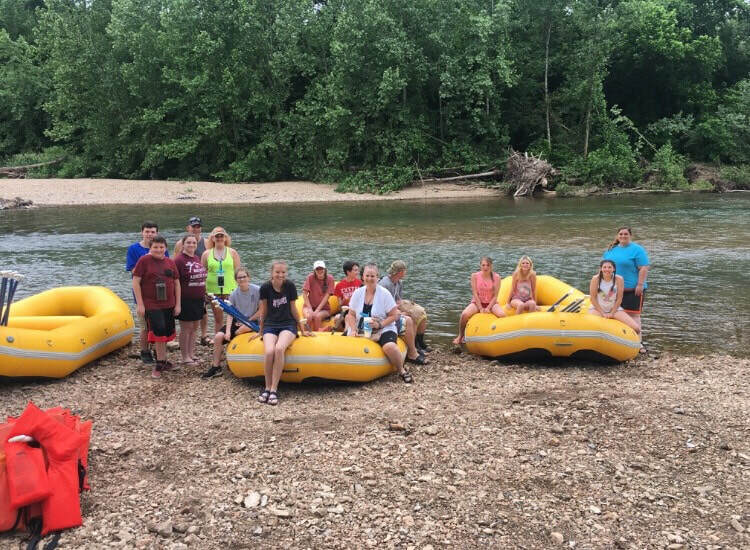 On Monday, May 21, the Exeter FFA went floating on the Elk River in Pineville. Big Elk Floats and Camping hosted the 13 members and four chaperones. The end-of-year trip was a great way to celebrate the end of a great school year and reward students for all of their hard work throughout the school year. Students teamed up in rafts with an adult and worked together to float the eight-mile part of the river. Pictured above, from left to right, in the front row: Lane Bradford, Mykah Estes, Riley Still, Mrs. Fuller, Kiley Lyons, Savannah Jones and Vanessa Ward. Back row: Wyatt Hoppes, Mr. Robert Bradford, Yvonne Bradford, Mackenzie Fuller, Macy Barrett, Lane Willis, Logan Rayburn and Mrs. Rachael Brown. Submitted by S. Riley Still.